I've a pretty simple Photoshop document that I want te replicate using IMagick. Have been trying all day but can't figure it out. I'm not very familiar with image processing. I hope you guys can help me out. In Photoshop I've 2 images. The bottom layer contains images 1. The second layer consists of the image 2 and the blend 'Luminosity' with an opacity of 55%. The third layer consist of image 2 again, but this time with the blend 'Color'. Let me know if this is not clear. So far I only got a composition of the two images with an opacity and a colorize. This gives a result similar to what I've in Photoshop, however this is not sufficient and I would like to duplicate my Photoshop as good as possible. Last edited by kqwil on 2017-02-23T08:30:12-07:00, edited 1 time in total. So, you have two images (image 1 and image 2). You combine them once with blend mode "Luminosity", and then with "Color". According to http://www.simplefilter.de/en/basics/mixmods.html , these are simple modes that use HSL or similar colorspace, taking L from one image and HS from the other. 3) images 1 and 2 blended 100% with "Luminosity"
4) images 1 and 2 blended 100% with "Color"
Please make these fairly small (eg 200x200 pixels), not lossy compressed (so not JPEG). PNG is fine. You can upload images to somewhere like dropbox.com and paste the URLs here. Correct, I think the only magic Photoshop does that I can reproduce is the luminosity blend with 55% opacity. Which I guess means that it doesn't take the entire L from image 2 but combines the two in some way. Anyways you seem to understand it better then me, so correct me if I'm wrong. x4_col.png is the same as your image_1_and_2_blended_100_color.png. x4_lum.png is almost the same as your image_1_and_2_blended_100_luminosity.png, but the luminosity from image 2 behind the grid is shifted by one pixel. I suspect you accidentally nudged the image when you created it. Does that solve your problem? Can you get the 55% opacity? If not, then please post the result from PS of luminosity with 55% opacity. Thanks for this answer it's exactly what I wanted however I'm not sure how to set the opacity for just the top layer. How would I apply this to the above script? Which script? I didn't exactly understand what the OP meant by opacity, nor what you mean. Please explain your problem, with examples. Please also say what version of IM you use, on what platform. Thanks for your reply. I'm attempting to recreate blending in the same way that photoshop's luminosity layer works. Here is an example of what I am trying to recreate. This image consists of two photoshop layers. The uppermost layer is set to luminosity with an opacity of 60%. The bottom layer in this case is a pink colour fill however it will be swapped out for a different image on the fly. 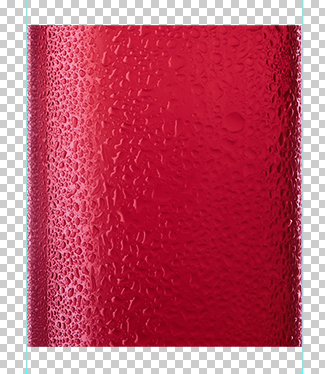 The idea being to superimpose the top layer on to any other image using the photoshop luminosity blend to create a realistic condensation effect. The layers reset back to the normal filter with an opacity of 100% appear as follows. I was hoping to recreate this in imagemagick and I can for the most part with convert scrips that where posted above however I can't seem to recreate the opacity of the luminosity layer. but a this point I'm flexible with the IM version as I am building my own from source. Please post your images not screen snaps. ImageMagick may be using HSL colorspace or some other colorspace when luminizing and colorizing than Photoshop. If that is the case, , which is likely, then you will need to use snibgo's method of separating channels in the desired colorspace and then recombine the appropriate combination. 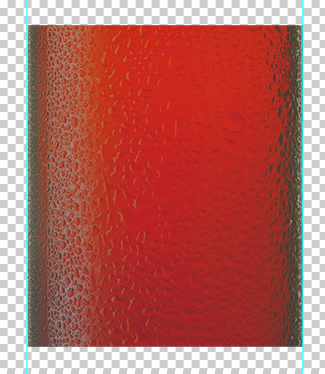 Explanation: I renamed your images: bottleCol is the solid-colour image. Your images are different sizes, so I have crudely cropped both to the same size. I work in HCLp space, taking H and C from the solid colour image, and L as a blend of the L from both images. This works fine in v6.9.5-3. In v7.0.3-6 using "magick", the blending doesn't work. I suppose there was a bug which may have now been fixed. Perfect! Thanks so much! That's exactly what I was hoping for. I can confirm the opacity issue in 7.0.7-8 so it must not have been fixed yet.